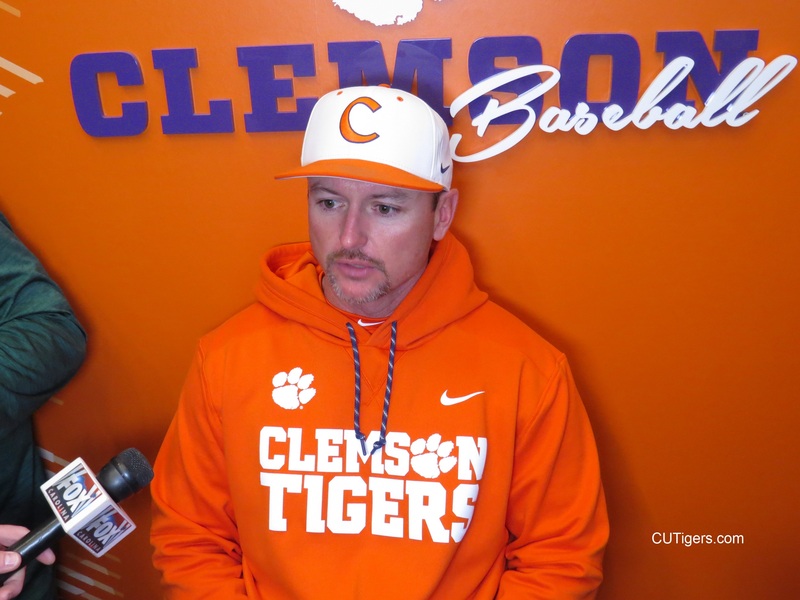 CLEMSON, SC - The Tigers had their first practice of the 2019 season on Friday, and we spoke with Monte Lee and several key players to talk about the upcoming season. The Tigers are ranked as high as No.14 preseason after sharing the ACC regular season title and winning 47 games last year. That was the fifth-most wins in the Power Five, just one behind National Runner-Up Arkansas. The Tigers lost some big-time players on both offense and defense from last year's team, including Seth Beer, Chris Williams, Ryan Miller and Ryley Gilliam. However, they have a lot of talent coming back and an infusion of new talent from a top-10 recruiting class. Leading the way offensively will be switch-hitting slugger Logan Davidson, who is a Preseason All-American. Last season, he became the first Tiger to homer from both sides of the plate in the same game, and he did it again a week later! Davidson set a HR Derby record in Omaha last summer. The Tigers also return their batting average leader from last season, catcher Kyle Wilkie, who also led the team in hitting with runners in scoring position. On the mound, the Tigers return two of their three weekend starters from last season in Brooks Crawford and Jacob Hennessy. Freshman Spencer Strider also came on strong at the end of last season. The Tigers have high hopes for the speedy Kier Meredith, who made a big splash as a freshman last season but battled injuries. As for the newcomers, expect big things from hurler Davis Sharpe, who is a bonafide two-way player because of his ability at the plate. Justin Wrobleski could also see some time in the outfield when he's not pitching. Monte told me last fall that Sam Weatherly decided to focus solely on pitching after playing two ways last season as a freshman. Monte said the decision has paid big dividends with his development as a pitcher over the summer and fall. The Tigers have a transfer in the outfield, Michael Green, who Monte said had a great fall. Monte Lee covered several topics, and we also spoke with Logan Davidson, Kyle Wilkie, Brooks Crawford, Kier Meredith, Grayson Byrd, Jordan Greene, Jacob Hennessy, Spencer Strider and Carson Spiers. Those interviews are below!